PLEASE NOTE THIS BLOG CONTAINS GRAPHIC IMAGES. VIEWER DISCRETION IS ADVISED. Emerald is the blue-green/green variety, a popular and quite expense stone nearly always flawed with impurities. Oil is applied to the stone to enhance color and form, but disguise flaws. This process should always be disclosed to the buyer as time deteriorates the oil and the flaws re-emerge. Aquamarine is known as the blue to blue-green variety. The color is lighter and also distinct from Emerald. Morganite is a pink variety named after J.P.Morgan, the banker who is an collector. The stone is light pink yet can be enhanced with heat. Color ranges within the Morganite variety include from the lightest pink to an orange-pink. Morganite may also be called Pink or Champagne Beryl. Goshenite is colorless and its physical properties are identical to Emerald. It is not used much as a gemstone but sometimes a green foil is used to coat the stone lending the appearance of an Emerald. Red Beryl or Bixbite is the rarest gemstone in the world (see the blog regarding Bixbite). A rich pink to blood colored Beryl which is very rare, Only 60 pounds of dark red were said to have been mined from Utah, USA. There are other mines but produce very little output and more of a strawberry red colored stone. Golden Beryl or Heliodorite, produces a golden yellow color. Heliodor and Golden Beryl are often confused with one another, as I confused them, collecting Golden Beryl from all over the world for Chrysolite. Some of the Beryl within the eighth foundation of the painting is Golden Beryl, Heliodor and the other yellow Beryl. Properties: Beryl stones represent a group of minerals, which include aquamarine, emerald, golden or yellow beryl, heliodor and morganite, to name a few. Beryl assists its possessor in learning how to filter out distractions and unnecessary stimulation. Good for relieving stress, calming the mind. This stone works with the particular color in relation to each Chakra center. This stone is known to stimulate communication (blue), acceptance and healing (green), reawakens the love of married people (pink), supports spiritual growth (gold and white) and gives us strength and power (yellow). Folk Remedies: Beryl has been used for centuries to help stomach, intestines, ulcers, nausea and eating disorders. It works with the mental body for exhaustion, depression and stimulates the mind, nervous system, spine and bones. Beneficial for elimination organs such as the kidneys, liver, and intestines. Helps strengthen the circulatory and pulmonary systems, making them more resistant to toxins and pollutants. Helpful to the eyes, throat and easing a stressed mental state. Beryl is often used as a sedative. Feng Shui: Beryl stones are used in the Center area for harmony, balance and spiritual growth, in the North area for personal journey and in the Southwest area for relationships of any kind. Suprisingly enough, before 1925 beryl was used only as a gemstone, but since then many important uses have been found for beryllium (e.g., in nuclear reactors, space vehicles, and X-ray tubes). No large deposits have been found, and most production is a by-product of the mining of feldspar and mica. Brazil is a major producer; others include Zimbabwe, South Africa, Namibia, and the U.S.
Zimbabwe is named after Great Zimbabwe, the twelfth- to fifteenth-century stone-built capital of the Rozwi Shona dynasty. The name is thought to derive from dzimba dza mabwe (“great stone houses”) or dzimba waye (“esteemed houses”). 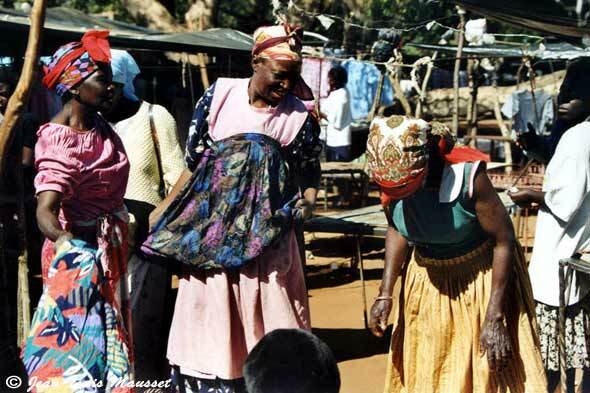 Cultural and religious traditions among the Shona, Ndebele and smaller groups of Tonga, Shangaan and Venda have similarities in regard to marriage practices and the belief in supernatural ancestors. All those groups called on the support of the spirit world in the struggle for independence, which was achieved in 1980. European culture and values indelibly shaped the urban and rural landscapes, particularly in terms of the use of space, and the structure and practice of government. Black Zimbabweans have assimilated more white Zimbabwean culture than vice versa. In these distinct cultures, which generally are referred to as African and European, the most obvious differences are economic. While the white minority lost political power after Independence, it has retained a disproportionate share of economic resources. The Second Congo War, also known as Africa’s World War and the Great War of Africa, began in August 1998 in the Democratic Republic of the Congo (formerly called Zaire), and officially ended in July 2003 when the Transitional Government of the Democratic Republic of the Congo took power (though hostilities continue to this day). The largest war in modern African history, it directly involved eight African nations, as well as about 25 armed groups. By 2008 the war and its aftermath had killed 5.4 million people, mostly from disease and starvation, making the Second Congo War the deadliest conflict worldwide since World War II. Millions more were displaced from their homes or sought asylum in neighboring countries. 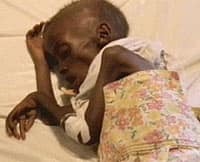 Despite a formal end to the war in July 2003 and an agreement by the former belligerents to create a government of national unity, 1,000 people died daily in 2004 from easily preventable cases of malnutrition and disease. Please don’t miss Peter Oborne’s magnificent piece on Zimbabwe in today’s Daily Mail. The world’s attention has shifted away. Now, with the focus no longer on him, Mugabe is free to continue this unprecedented campaign of electoral cleansing. For the past week, having slipped into Zimbabwe as a businessman, I have seen the relentless increase in intimidation from government forces. I can report that every day it is reaching a new level of intensity, sweeping like a killer virus through the country. 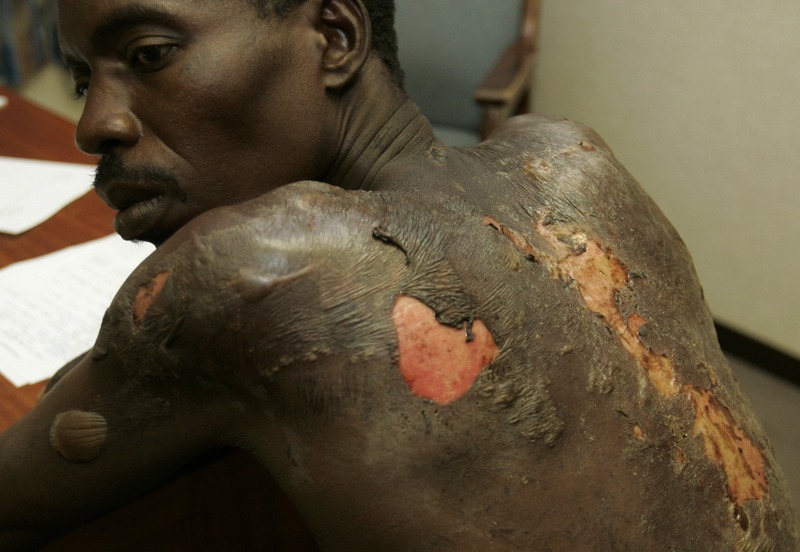 Even by Mugabe’s standards, the scale and brutality is horrifying. He is right. Our attention mustn’t wander until Mugabe and his thugs are gone. This should get you started, but once you start never stop until this tyranny is over! Profound inspiration exist in a world not so very far from your own. Michel de Nostredame (14 December or 21 December 1503 – 2 July 1566), usually Latinised to Nostradamus, was a French apothecary and reputed seer who published collections of prophecies that have since become famous worldwide. He is best known for his book Les Propheties (“The Prophecies”), the first edition of which appeared in 1555. Since the publication of this book, which has rarely been out of print since his death, Nostradamus has attracted a following that, along with the popular press, credits him with predicting many major world events. The prophecies have in some cases been assimilated to the results of applying the alleged Bible code, as well as to other purported prophetic works. Most academic sources maintain that the associations made between world events and Nostradamus’s quatrains are largely the result of misinterpretations or mistranslations (sometimes deliberate) or else are so tenuous as to render them useless as evidence of any genuine predictive power. Moreover, none of the sources listed offers any evidence that anyone has ever interpreted any of Nostradamus’s quatrains specifically enough to allow a clear identification of any event in advance. Scrying (also called crystal gazing, crystal seeing, seeing, or peeping) is a magic practice that involves seeing things psychically in a medium, usually for purposes of obtaining spiritual visions and more rarely for purposes of divination or fortune-telling. The media used are most commonly reflective, translucent, or luminescent substances such as crystals, stones, glass, mirrors, water, fire, or smoke. Scrying has been used in many cultures as a means of divining the past, present, or future. Depending on the culture and practice, the visions that come when one stares into the media are thought to come from God, spirits, the psychic mind, the devil, or the subconscious. Although scrying is most commonly done with a crystal ball, it may also be performed using any smooth surface, such as a bowl of liquid, a pond, or a crystal. Scrying is actively used by many cultures and belief systems and is not limited to one tradition or ideology. As of 2009[update], the Ganzfeld experiment, a sensory deprivation experiment inspired by scrying, provides the best known evidence for psi abilities in the laboratory. Nevertheless, like other aspects of divination and parapsychology, scrying is not supported by mainstream science as a method of predicting the future or otherwise seeing events that are not physically observable. In March 1993 Carter made a trip to southern Sudan. 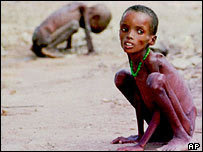 The sound of soft, high-pitched whimpering near the village of Ayod attracted Carter to an emaciated Sudanese toddler. The girl had stopped to rest while struggling to a feeding center, whereupon a vulture had landed nearby. He said that he waited about 20 minutes, hoping that the vulture would spread its wings. It didn’t. Carter snapped the haunting photograph and chased the vulture away. 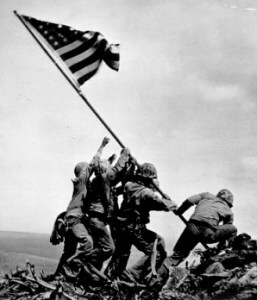 The photograph was sold to The New York Times where it appeared for the first time on March 26, 1993. Practically overnight hundreds of people contacted the newspaper to ask whether the child had survived, leading the newspaper to run a special editor’s note saying the girl had enough strength to walk away from the vulture, but that her ultimate fate was unknown. On April 2, 1994 Nancy Buirski, a foreign New York Times picture editor, phoned Carter to inform him he had won the most coveted prize for photojournalism. Carter was awarded the Pulitzer Prize for Feature Photography on May 23, 1994 at Columbia University‘s Low Memorial Library. The development of the Culture of the United States of America has been marked by a tension between two strong sources of inspiration: European ideals, especially British; and domestic originality. American culture encompasses traditions, ideals, customs, beliefs, values, arts, and innovations developed both domestically and imported via British colonization and immigration. 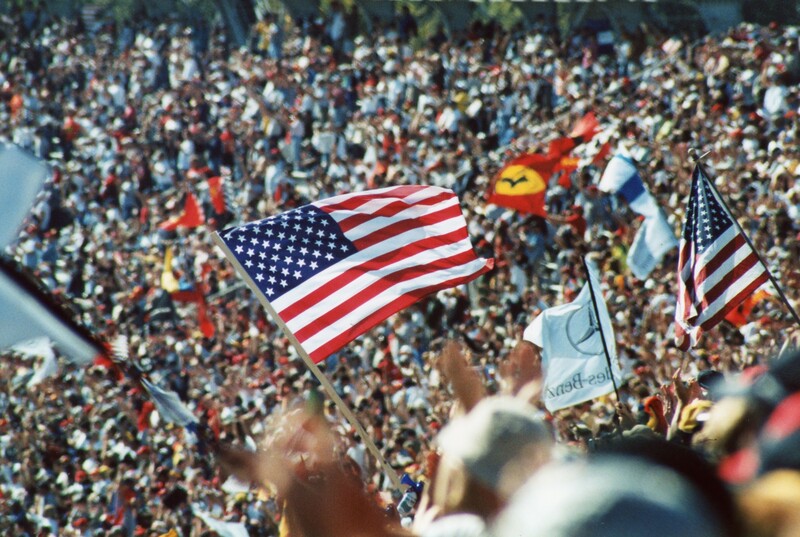 Prevalent ideas and ideals which evolved domestically such as important national holidays, uniquely American sports, proud military tradition, and innovations in the arts and entertainment give a strong sense of national pride among the population as a whole. It includes both conservative and liberal elements, military and scientific competitiveness, political structures, risk taking and free expression, materialist and moral elements. It also includes elements which evolved from Native Americans, and other ethnic subcultures; most prominently the culture of African American slave descendants and different cultures from Latin America. Many cultural elements, especially popular culture have been exported across the globe through modern mass media where American culture is sometimes resented. First place on the Forbes list: Stock exchange guru Warren Buffet (77). The American investor’s fortune has risen to 62 billion US dollars, making him the richest man in the world. You don’t need to understand the economics of a generating plant in order to intelligently buy electricity. If your neighbor is an expert on that subject and you are a neophyte, your electric rates will be identical. But jewelry purchases are different. What you pay for an item vs. what your neighbor pays for a comparable item can be, and often is, widely different. Understanding the economics of the business will tell you why. To begin with, all jewelers turn their inventory very slowly, and that ties up a lot of capital. A once-a-year turn is par for the course. The reason is simple: People buy jewelry infrequently, and when they do, they are making both a major and very individual purchase. Therefore, they want to view a wide selection of pieces before zeroing in on a single item. Given that their turnover is low, a jeweler must obtain a relatively wide profit margin on sales in order to achieve even a mediocre return on their investment. In this respect, the jewelry business is just the opposite of the grocery business, in which rapid turnover of inventory allows good returns on investment though profit margins are low. In order to establish a selling price for their merchandise, a jeweler must add to the price they pay for that merchandise, both their operating costs and desired profit margin. Operating costs seldom run less than 40% of sales and often exceed that level. This fact requires most jewelers to price their merchandise at double its cost to them or even more. The math is simple: Jewelers charge $1 for merchandise that has cost them 50 cents. Then, from their gross profit of 50 cents they typically pay 40 cents for operating costs, which leaves 10 cents of pre-tax earnings for every $1 of sales. Taking into account the massive investment in inventory, the 10-cent profit is adequate but far from exciting. At Borsheim’s the equation is far different from what I have just described. Because of our single location and the huge volume we generate, our operating expense ratio is usually around 20% of sales. As a percentage of sales, our rent costs alone are fully five points below those of our typical competitor. 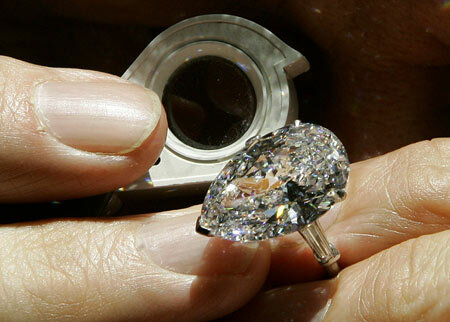 Therefore, we can, and do, price our goods far below the prices charged by other jewelers. In fact, if they priced to match us, they would operate at very substantial losses. Moreover, in a virtuous circle, our low prices generate ever increasing sales, further driving down our expense ratio, which allows us to reduce prices still more. How much difference does our cost advantage make? It varies by competitor but, by my calculation, what costs you $1,000 at Borsheim’s will, on average, cost you about $1,350 elsewhere. This is called the “Borsheim’s Price”. There are very few instances where we are unable to offer you those great savings due to restrictions, but you will always know upfront if an item is non-discountable. Of course, price means nothing unless you are sure of the quality of what you are getting. When products are branded, such as watches and chinaware are, comparisons are simple. But jewelry is usually a “blind” item – and that puts virtually all purchasers at the mercy of the seller. My sense of helplessness led me to an obvious conclusion: “If you don’t know jewelry, know your jeweler.” For that reason, I made all of my jewelry purchases at Borsheim’s for many years before Berkshire Hathaway bought the company. I didn’t know stones, but I did know Ike Friedman, the retailing genius who had built the business from nothing into one of the nation’s largest independent jewelry stores. When I purchased Ike’s business, I did it without an audit but with full confidence that I was getting value received. And that’s just what I got – precisely as I had when I purchased a single piece of jewelry from him. The main point of this letter is to tell you that you don’t have to live near Omaha to benefit from Borsheim’s. Our “shop-at-home” program brings Borsheim’s to our qualified customers. Simply contact Borsheim’s to describe what you’re looking for – to any degree of detail. We will assemble selections that best reflect your wishes and send them to you. Then, in the comfort of your own home or office, you can conveniently and leisurely select the item(s) you most prefer, or return the entire selection. Our results from this “shop-at-home” program have been amazing. Customers have loved it and keep coming back for more. Each year, we send out several thousand packages, ranging in value from $100 to $500,000. Call us at 800-642-GIFT (4438) to learn how to qualify for Borsheim’s “shop-at-home” program. At Borsheim’s the service will be exemplary, the price will be exceptional and the merchandise will always be what you are told that it is. You have my word. Oddly enough his “word” does not mention the countless lives lost for profit-his profit. What is the amount paid to the people of Africa? You see the sub-standard life and how the people live on the edge of death EVERYDAY. Now that you have seen the truth, does this letter to you from the richest man in the world mean anything? Key words: neighbor, economics, respect, helpless, wary, worried, and most of all helplessness. Subliminal use of conscience? Do you think he saw what Kevin Carter saw and what we see now? As “rich” as the man is, is as poor as the poorest man on earth. Neither take with them that which is in their hand, they take that which is in their hearts and what they leave behind in the hearts of others. The rich man will leave this earth with less than the poor man for he has not learned of life, only money and greed. The poor man will leave this earth “rich” in its truest form for he has learned the humbleness of life.